CHICAGO--(BUSINESS WIRE)--LSC Communications (NYSE: LKSD) and R.R. Donnelley & Son’s Company (NYSE: RRD) (“RRD”) announced today that they have entered into a definitive agreement for LSC Communications to acquire the Print Logistics component of RRD’s Logistics business. RRD’s Print Logistics capabilities include a range of logistics services and technologies to optimize the print distribution and mail supply chain, including solutions that drive postal discounts. The acquisition is expected to close in Q3 2018. This represents LSC’s third acquisition in the logistics space in the past 12 months as the Company continues to execute its strategic focus on expanding its print and non-print distribution capabilities. RRD is a leading global provider of multichannel business communications services and marketing solutions. With more than 50,000 clients and nearly 43,000 employees across 34 countries, RRD offers the industry’s most comprehensive portfolio of solutions designed to help companies – from Main Street to Wall Street – optimize customer engagement and streamline business operations across the complete customer journey. 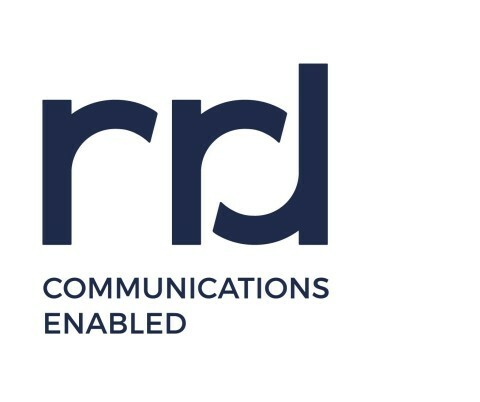 RRD offers a comprehensive portfolio of capabilities, experiences and scale that enables organizations around the world to create, manage, deliver and optimize their marketing and business communications strategies. For more information, visit our website at www.rrd.com. This news release may contain "forward-looking statements" within the meaning of Section 21E of the Securities Exchange Act of 1934, as amended, and the U.S. Private Securities Litigation Reform Act of 1995. Readers are cautioned not to place undue reliance on these forward-looking statements and any such forward-looking statements are qualified in their entirety by reference to the following cautionary statements. All forward-looking statements speak only as of the date of this news release and are based on current expectations and involve a number of assumptions, risks and uncertainties that could cause the actual results to differ materially from such forward-looking statements, including risks associated with the ability of LSC Communications to perform as expected as a separate, independent entity and to successfully integrate the Print Logistics business into LSC and risks associated with the volatility and disruption of the capital and credit markets, and adverse changes in the global economy. Readers are strongly encouraged to read the full cautionary statements contained in LSC’s and RRD’s filings with the SEC. LSC and RRD disclaim any obligation to update or revise any forward-looking statements.